This week Scotty and I wanted to tell you about our amazing sponsor: Warp Zone! 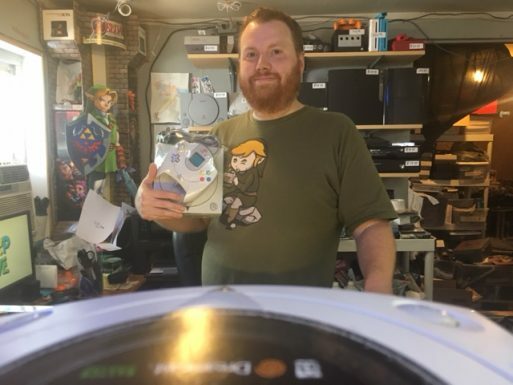 The owner, Carey, is a real stand-up guy, and has donated this year’s prize: One Sega Dreamcast Console. 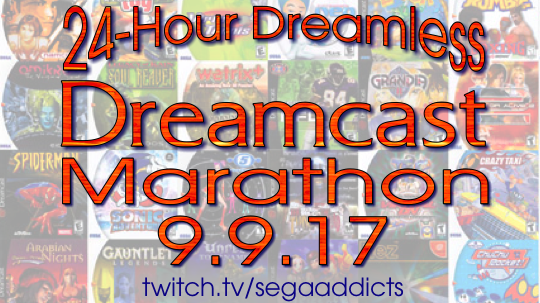 You could win one of my brethren if you watch the 24-Hour Dreamless Dreamcast Marathon for the longest amount of time and stay active in the chat during the stream. Can you do it? It’s the most fun you could ever have competitively! 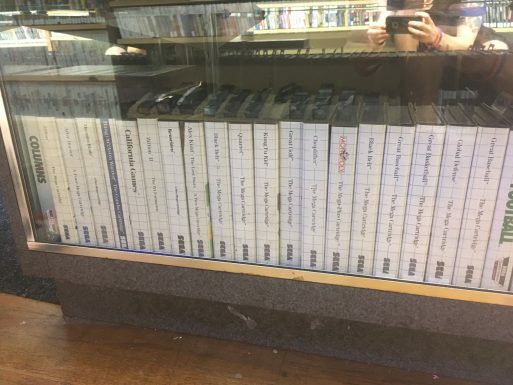 This is just a taste of the Sega collection, but let’s take a closer look at those Dreamcast games. 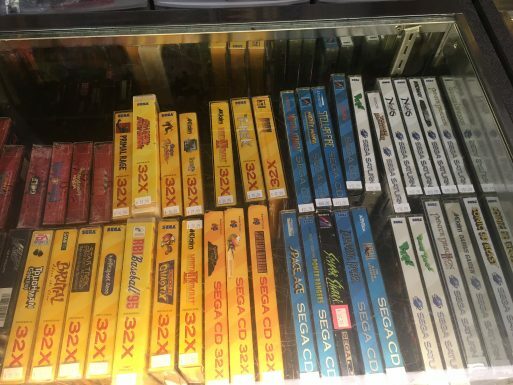 Have you ever seen this many 32X games in one place at the same time under glass? I know Scotty hasn’t, and I had to pull him away from the display otherwise he wouldn’t have been able to afford the gas to get back home. Silly Scotty. 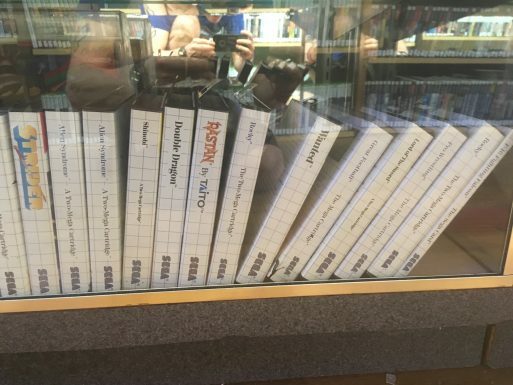 Not to be repetitive, but have you ever seen this many Master System games on display? I know a certain Pocky X suddenly got a tingly feeling. But let’s take a closer look, folks. 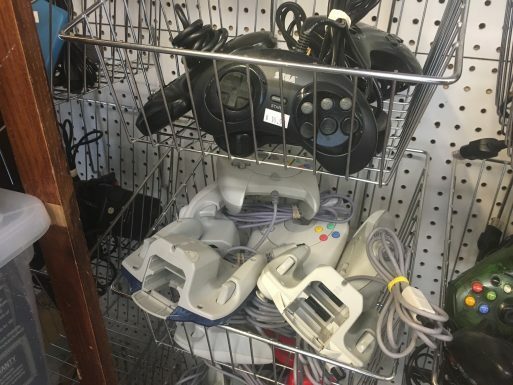 More proof that Pac-Man has seen release on nearly every console in existence. Larger logos mean better quality, right? Shinobi knows to just hide and wait for the right moment to strike. 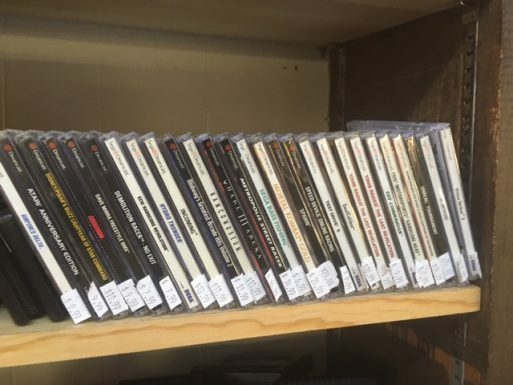 You won’t get too far without one or two of these bad boys. 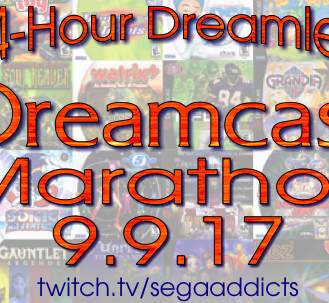 If you already have a Dreamcast and end up winning as the longest viewer, the Sega Addicts will sign and decorate a controller just for you! 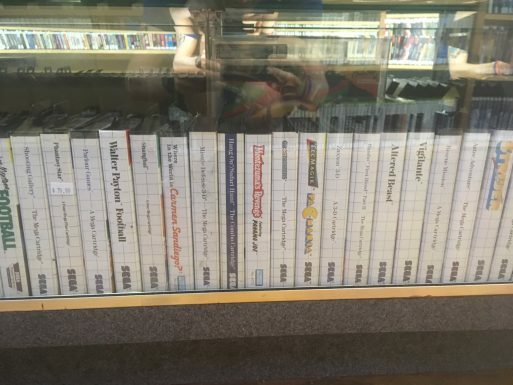 We can’t forget those Genesis games. 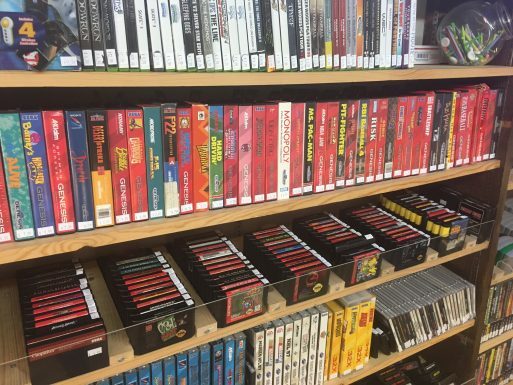 Remember when box art was all about style and standing out? The Genesis sure does. That’s gonna just about do it for this week’s update, everyone. Scotty practiced a lot of restraint with this one, but he is a better man for it, and can afford way more cans of Sonic Spaghettio’s now. Don’t forget that you can donate to this year’s Extra Life fund before we kick of the stream on 9.9.17. Tune in next week when we debut the schedule and you can plan accordingly… to view the entire 24 hours of course!